We keep a suitable storage on our selling products.But because of the changing of storage everyday. It’s possible that some products out of stock. If you need more than 20pcs.We advice you confirm the storage situation and better wholesaler price by email before you purchase it. We will write a lower price on invoice to help you avoid Custom Duty.If you have special request for declared value,Please let me know before delivery. When the goods arrive to your local post office,but none signs the parcel after 7 days.The parcel will be returned or destroyed.We will not resend the parcel and the money will be not refund. 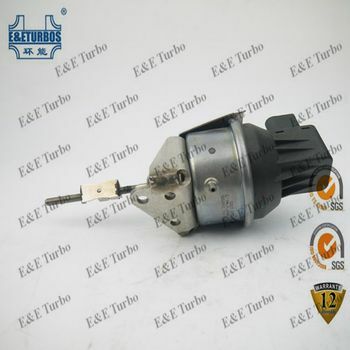 Do not hesitate to contact us anytime before and after your purchase.E&E Turbo will try our best to fulfill all of your needs. If you are satisfied with our products,please leave us an active feedback.If you are not satisfied after receiving your order,and please contact us before leaving any negative feedback.We will solve any problems with you. If you are Brizal buyer,pls tell me your "CPF NO" or "CNPJ NO",it's necessary,thanks. If you are Chile buyer,pls tell me you "RUT NO",it's necessary,thanks. If you are Argentina buyer,pls tell me you TAX Number "CUIT NO",it's necessary,thanks. If you are Spain buyer,pls tell me you "VAT NO",it's necessary,thanks. We are NOT responsible for Custom Tax/Duty or import taxes and delays in any circumstances. All names,numbers,symbols and descriptions are for reference purposes only. Contact with E&E for more products now.